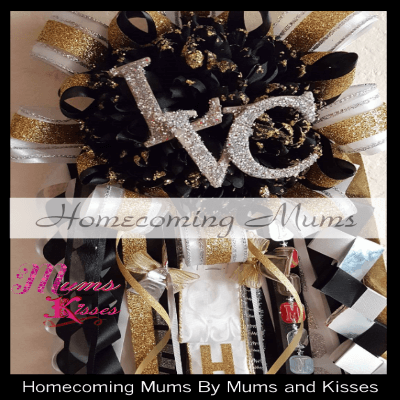 Homecoming Mums Dunbar High School – Mums and Kisses offers an upscale shopping experience at realistic prices while keeping it real with realistic prices and over 25 different homecoming mum designs to choose from and our original “Build your own mum” design as well. We offer you satin homecoming mums made from scratch. We do not use manufactured premade mums. Our luxury mum shop offers a one of a kind experience. We’re not a craft shop, we’re not a warehouse. And all we do is mums. We prepare all year long just for the homecoming mum season. Our colonial manor of 2 acres is specially designed to give you a luxury experience with your You can start here or go to our home page to start from the beginning. Feel free to look around our website and remember the tabs at the top and has even more! $189.95 Click Photo To Customize! $1.05 Click Photo To Customize! $399.95 Click Photo To Customize! From $279.95 Click Photo To Customize! From $285.95 Click Photo To Customize! New $99.95 Click Photo To Customize! $119.95 Click Photo To Customize! $4.00 Click Photo To Customize! $159.95 Click Photo To Customize! $89.95 Click Photo To Customize! NEW $119.95 Click Photo To Customize! 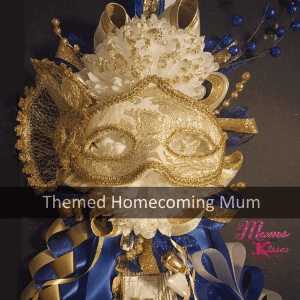 We are changing the way you shop for homecoming mums! All online, oh and shipping on orders over $100 is free! 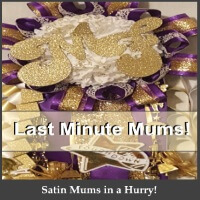 We’re located in Crowley, Texas, you can pick up your order at our shop or we can ship it down the road or across country you’ll receive your custom mum in just a few days! How’s THAT?! We offer discounts too, at times we offer other discounts as well that are located around the site and on coupon sites like retailmenot.com . See our Deals Page for all our discounts and specials. Please note to the codes are CASE SENSITIVE. they only work with NO spaces. The checkout is the best place to enter the codes as some have reported that not all web browsers allow the code on the cart page. Still Got Questions? We have answers! You can visit our FAQ Page, Call Us, Chat with Our Mum Helpers or email us! Live Chat – Go To Our Home Page, Open The Live Chat At The Bottom Right. New designs, these aren’t your craft shop mums. We’re expanding your range allowing you to choose something NEW and Unique. No two mums that leave our location are ever the same. We use only the best in luxury ribbon. Our mums memories last for years and years to come. For even more designs click the top menu. We Ship Nationwide & Always Have! 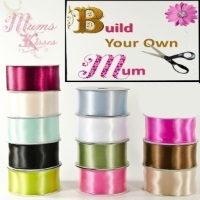 Most of our customers love the ease of ordering their mum and having it shipped straight to their door. No worrying, no craft store lines. Simple! The Online Store is Open 24 hours 365 days per year and processes orders all year round. Our phone system will be open again with our physical location as indicated below.